Size: approx. 3 mm. Photo: 08/18/18, 6 pm. 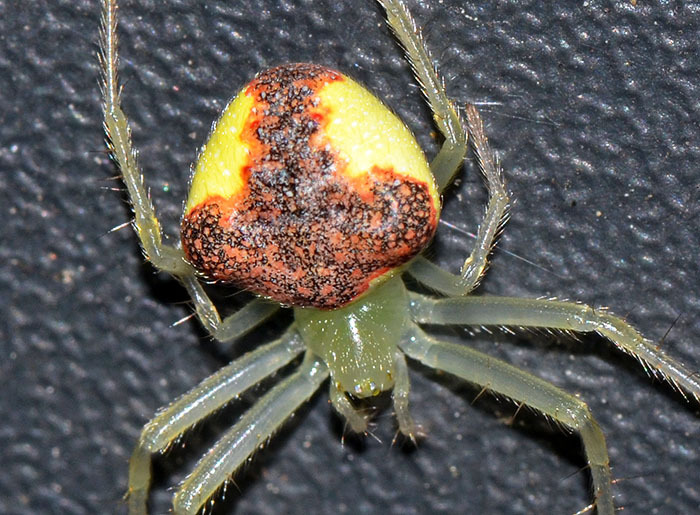 I found this colorful, little spider hiding at a hard to see place on my truck. 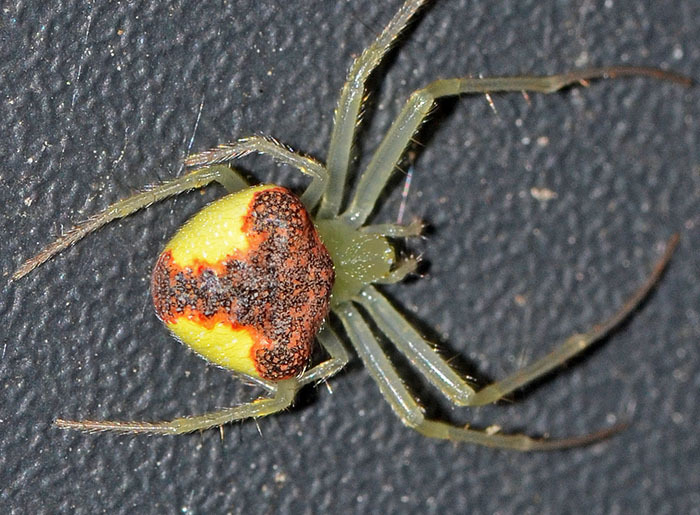 Most of its body and legs are greenish yellow but its golden yellow abdomen has a dark brown (or even black) patch bordered by a crimson red border. The typical habitats are meadow shrubs.